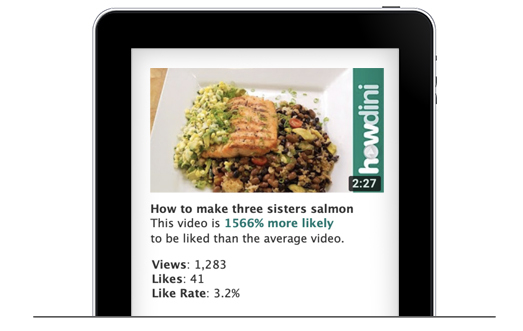 Applause Rate is VideoAmigo’s measure of what percentage of a video’s viewers click the Like Button. Each video has its own Applause Rate. People like some of your videos a lot more than they like others. Use VideoAmigo’s Applause Rate tool to find out which of your videos are liked the most, so you can make more just like them. 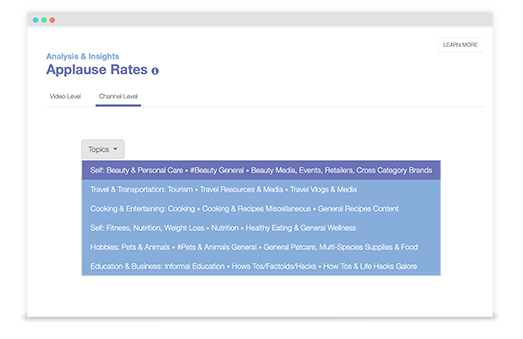 You can also use this tool to compare the Applause Rate of your videos to those of your Topic Competitors. Applause Rate is VideoAmigo’s measure of what percentage of a video’s viewers click the Like Button. Each video has its own Applause Rate. People like some of your videos a lot more than they like others. Use VideoAmigo’s Applause Rate tool to find out which of your videos are liked the most, so you can make more just like them. 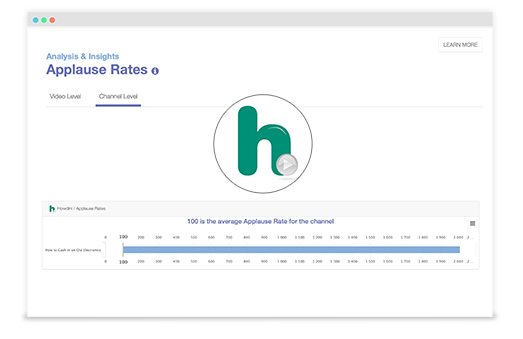 You can also use this tool to compare the Applause Rate of your entire channel vs. your Topic Competitors. 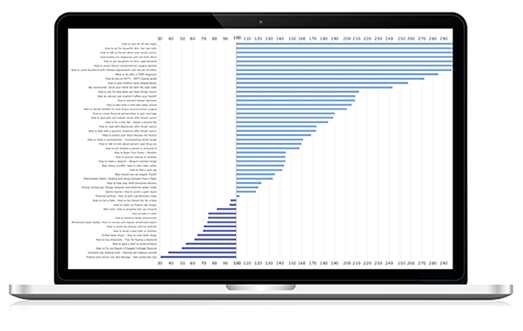 This tool, like many of our tools, allows you to limit your results by Video Groups.